July 2014 Posts | AKA Design, Inc. The business of finding accommodation for a weary traveler probably began not long after people started roaming far from their home villages. The first people to find lodging were probably soldiers. They were quickly joined by merchants, pilgrims and people who simply wanted adventure. At first, travelers were put up in private residences. Religious pilgrims were housed in monasteries. As time went on, inns began to be built for profit. They were built along roads that were well traveled and near river crossings. They not only housed travelers, but fed and housed the traveler’s animals. At first, travelers bought their own food, but after a time innkeepers began to prepare meals for them. Laws soon came into being to protect both innkeepers and guests. Many of these laws were passed in England. They are still in effect, with some modifications, not only in the United Kingdom but in the United States as well. Modern hotels developed with improvements in transportation and increased standards of living. People had enough money to demand more comforts and even luxury from their lodgings. 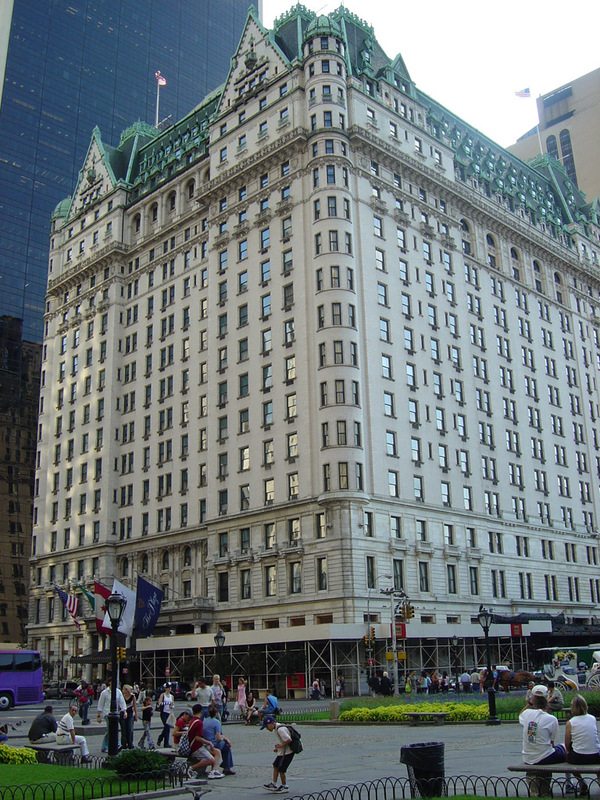 The first building that was formally designated as a hotel in the United States was the City Hotel, which opened in New York City in 1794. The largest hotel in the world used to be Chicago’s Conrad Hilton, which had 3,000 rooms. Now, the largest hotel is the Izmailovo Hotel in Moscow, which has 7,500 rooms and was built in 1979 for the 1980 Olympics. Though this hotel has four rather pedestrian tower blocks, other luxury hotels are spectacular. Azerbaijan, after all, boasts a hotel that looks suspiciously like the Death Star. Proprietors have also become meticulous about hotel interior design and will spend money to bring in designers like Karl Lagerfeld, who did a makeover of the beautiful Alma Schlosshotel in Berlin and Christian Lacroix, who performed similar magic for the Hotel Du Continent in Paris. Among the hotels with the most beautiful interior designs include Boston’s Eliot Hotel. The elegant lobby is done in neutral colors and is dominated by a crystal chandelier. The chandelier in the lobby of the nearby Ames Boston Hotel is a bit funkier, as it looks like a great shower or lights and crystal falling from the vaulted ceiling of a 19th century building. The hotel interior design of the Oberoi Rajvilas in Jaipur, India, is equally sumptuous and harkens back to the days of the British Raj. For an amazing resort hotel experience, there’s the Amangiri resort in Canyon Point, Utah. This resort hotel has 34 suites, each with its own courtyard. Some have spectacular views of the desert. However, if a traveler isn’t interested in such opulence, he or she can find tiny but lovely places like the Pensaõ Favorita in Porto, Portugal. It has only 12 rooms and a garden wing. With thousands of hotels around the world, there’s bound to be one for everybody’s taste. Staying at a spectacular hotel can help to create a remarkable travel experience. People who visit Texas might select from an impressive assortment of elegant hotels. One hotel may display an architectural pattern intended to attract much interest. Another option might be a hotel with interior design features that inspire awe in all who enter the premises. Some of the hotels in this vast state are unforgettable, and guests may remember their visits for years. The Hotel ZaZa Houston is a breathtaking boutique hotel. Like its counterpart in Dallas, the exterior of the Hotel ZaZa Houston is as exquisite as its interior. The architecture is a sublime blend of lines and curves. Wrought iron gates protect guests as they walk along upstairs terraces. Each suite is unique, but all of the suites have high ceilings and extraordinary furnishings. A visit to the ZaZa will not be forgotten. The Ashton is an elegant hotel in Fort Worth. People who view the façade of the Ashton might imagine they are about to enter a Park Avenue establishment in New York. The rooms have the kind of tall windows that might be found in a penthouse apartment. The theme at the Ashton could be described as urban grandeur. The Westin Stonebriar is an opulent hotel situated in Frisco, which is a suburb of North Dallas. The exterior of the Westin Stonebriar appears structured to resemble a manor house in the English countryside. Many of the windows in this hotel extend from the ceilings to the floors. The interior doorframes are made of polished wood, and the interior design style is Art Deco. Guests can ascend a wide stone staircase to gain access to a beautiful garden terrace. A fitness facility is complemented by pillars constructed of shiny wood. The Driskill is a dramatic structure in Austin. The building was erected in 1886, and its Romanesque architecture gives it a grand appearance at every angle. Many guests choose to stay at the Driskill because they value a hotel with interior design features that are as notable as the exterior. The lobby is lined with slender pillars, and a massive chandelier made of stained glass is positioned in the center of the ceiling. Textured walls in the cocktail lounge are made from a variety of materials. Innumerable people consider Texas to be the finest of all the states. Its landscape is as impressive as its history. Tourists who visit Texas generally expect their hotel accommodations to match the mystique of this tremendous state. Travelers might choose from a wealth of Texas hotels that will linger in their minds long after they leave.